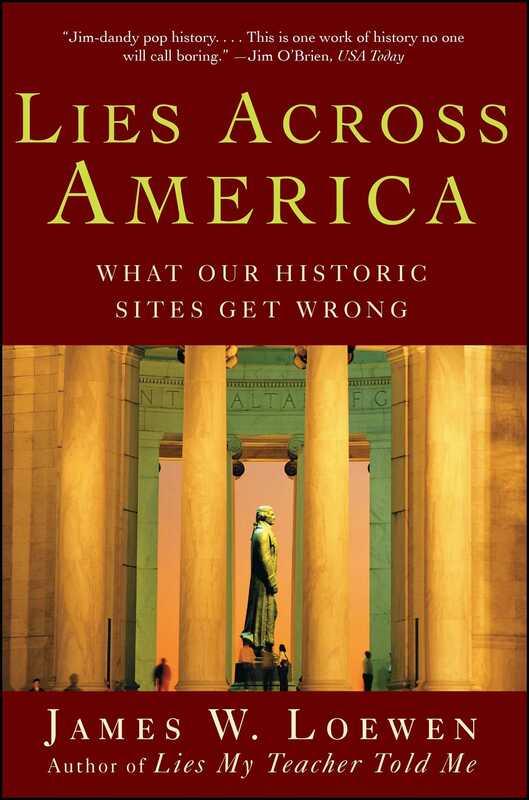 From the author of the national bestseller Lies My Teacher Told Me, the second myth-busting history book which focuses on the inaccuracies, myths, and lies that can be found at national landmarks and historical sites all across America. The USS Intrepid, the “feel-good” war museum, celebrates its glorious service in World War II but nowhere mentions the three tours it served in Vietnam. The Jefferson Memorial misquotes from the Declaration of Independence and skews Jefferson’s writings to present this conflicted slave owner as a near abolitionist. Abraham Lincoln had been dead for thirty years when his birthplace cabin was built. Lies Across America is a reality check for anyone who has ever sought to learn about America through the nation’s public sites and markers. Entertaining and enlightening, it is destined to change the way American readers see their country. Chapter 1: In What Ways Were We Warped? When I was a boy on our annual summer vacation trips, the family car seemed to stop at every historic marker and monument. Maybe yours did, too. Dad thought it was "good for us," and I suppose in a way it was. Little did he suspect that it was also bad for us -- that the lies we encountered on our trips across the United States subtly distorted our knowledge of the past and warped our view of the world. My sister and I needed to unlearn the myths we were learning in school, but the historic sites we visited only amplified them and taught us new ones. My most recent book, Lies My Teacher Told Me, told how American history as taught in most high schools distorts the past and turns many students off. One result is that only one American in six ever takes a course in American history after graduating from high school. Where then do Americans learn about the past? From many sources, of course -- historical novels, Oliver Stone movies -- but surely most of all from the landscape. History is told on the landscape all across America -- on monuments at the courthouse, by guides inside antebellum homes and aboard historic ships, by the names we give to places, and on roadside historical markers. This book examines the history that some of these places tell and the processes by which they come forward to tell it. Markers, monuments, and preserved historic sites usually result from local initiative. Typically a private organization -- the Chamber of Commerce, a church congregation, the local chapter of the United Daughters of the Confederacy -- takes the lead, but public monies are usually involved before it's unveiled. It follows that the site will tell a story favorable to the local community, and particularly to that part of the community that erected or restored it. An account from another point of view might be quite different and also more accurate. Americans like to remember only the positive things, and communities like to publicize the great things that happened in them. One result is silliness: the first airplane was invented not by the Wright Brothers but by Rev. Burrell Cannon, and the first flight was not in Kitty Hawk, North Carolina, but in Pittsburg, Texas. It must be true -- an impressive-looking Texas state historical marker says so! Meanwhile, Georgia, Massachusetts, and Rhode Island all claim the first use of anesthesia. And markers in Brunswick, Georgia, and Brunswick County, Virginia, battle over where Brunswick stew was born. A more important result is racism. People who put up markers and monuments and preserve historic houses are usually pillars of the white community. The recent spate of Martin Luther King avenues and monuments notwithstanding, Americans still live and work in a landscape of white supremacy. Especially in the South, but all across America, even on black college campuses, markers, monuments, and names on the landscape glorify those who fought to keep African Americans in chains as well as those who after Reconstruction worked to make them second-class citizens again. What person gets the most historical markers in any state? Not Lincoln in Illinois it turns out, or Washington in Virginia, but Nathan Bedford Forrest, Confederate cavalry general and first leader of the Ku Klux Klan, in Tennessee. And the white Southerners misguided enough not to be racist are ignored entirely or converted into "good white Southerners" when remembered. Thus Helen Keller's birthplace flies a Confederate flag, while she was an early supporter of the NAACP. What does this Mount Rushmore mean to us Indians? It means that these big white faces are telling us, "First we gave you Indians a treaty that you could keep these Black Hills forever, as long as the sun would shine, in exchange for all the Dakotas, Wyoming, and Montana. Then we found the gold and took this last piece of land, because we were stronger, and there were more of us than there were of you, and because we had cannons and Gatling guns....And after we did all this we carved up this mountain, the dwelling place of your spirits, and put our four gleaming white faces here. We are the conquerors. The language at historic sites is also warped. All across the country Americans call Native Americans by tribal names that are wrong and even derogatory. According to these histories on the landscape Indians are "savage," whites "discover" everything, and some causes portrayed as stainless today were drenched in blood in their own time. Then there is the matter of who gets memorialized and who gets left out. All too often, memorials heroify people who should not be forgotten, but who should never have been commemorated -- Jeffrey Amherst for example, who initiated germ warfare in the Americas and for whom Amherst College and Amherst, Massachusetts, are named. Across America the landscape commemorates those men and women who opposed each agonizing next step our nation took on the path toward freedom and justice, while the courageous souls who challenged the United States to live out the meaning of its principles lie forgotten or even reviled. Markers and monuments in many states leave out women, sometimes so totally as to be unwittingly hilarious. The only white woman to get a historical marker in Indiana, to take one offending state, gets remembered for coming into the state minus a body part she lost in Kentucky! Kentucky, meanwhile, erected (the right word) a female Civil War horse with an extra body part that turns her into a him! Historic sites also cover up or lie about the sexual orientations of people who made their history if those orientations were gay or lesbian. Another form of omission takes place at historic homes, which often do not take their own history seriously enough to bother to tell it like it was. Instead of telling visitors what happened to the people who lived and worked there, guides prattle on about what the guests ate and the silverware they used. Even at important historic sites like Independence Hall, guides tell charming but inconsequential and ultimately boring anecdotes rather than talk about the historic events that happened there. Guides almost always avoid negative or controversial facts, and most monuments, markers, and historic sites omit any blemishes that might taint the heroes they commemorate, making them larger and less interesting than life. (High school history textbooks do the same thing.) Presidents especially must be perfect. When historian Richard Shenkman asked a tour guide at FDR's family mansion in Hyde Park, New York, about Roosevelt's mistresses, she told him "the guides are specifically forbidden from talking about this." Woodrow Wilson's house in Washington, D.C., says nothing negative about the man who segregated the federal government; a temporary exhibit even credited him with supporting women's suffrage, which he opposed. Even Franklin Pierce, arguably our least popular president, is lauded by the historical marker in his hometown. But inventing blemish-free heroes doesn't really work. High school students don't really buy that the founding fathers were flawless and don't think of them as heroes to emulate. Instead they conclude that history textbooks are dishonest. Similarly, adult Americans don't really believe that their exalted forebears were as perfect as their monuments claim. I have watched tourists grow passive while guides tell them quaint stories about dead presidents. They don't know enough to ask about what's being left out, and the social situation doesn't encourage visitors to ask substantive questions, so they just traipse from room to room on automatic pilot. A critical question to ask at any historic site is: What does it leave out about the people it treats as heroes? A special form of these omissions occurs at war museums, which present war without anguish and instead focus genially on its technology. USS Intrepid in New York City leaves out the Vietnam War entirely -- too "political" for its board of directors. Omissions such as this can be hard to detect, especially for visitors who come to a site to learn a little history without bringing some knowledge of the site with them. People don't usually think about images that aren't there. And some images don't exist anywhere. Scottsboro, Alabama, became world-famous for exactly one incident -- the Scottsboro Case -- but although downtown Scottsboro boasts four historical markers, none mention the Scottsboro Case. "Pay attention to what they tell you to forget," poet Muriel Rukeyser once wrote, and this book does -- it covers the Scottsboro Case and three events in Richmond, a city that truncates its public memory on the day the Confederacy ceased to rule it, because of their importance -- and because they are not recognized on the landscape. Nowhere have I seen portrayed the multicultural nature of pioneer settlements, where Native Americans, European Americans, and often African Americans lived and worked together, sometimes happily. Only an obscure marker in Utah offers any hint of the trade in Indian slaves that started in 1513 and continued at least until the Emancipation Proclamation in 1863. All across America, the landscape suffers from amnesia, not about everything, but about many crucial events and issues of our past. When the landscape does not omit unpleasant stories entirely, it often tells them badly, even by the mediocre standards set by u.s. history textbooks. Except for the Chief Vann House, a state historic site in Georgia, historic sites and museums in the United States rarely depict Native American farms, frame houses, or schools compared to the enormous number of tipis they display. Thus they portray American Indians as mobile and romantic -- even when they weren't! What tourists learn about slavery by visiting most historic sites is trifling compared to the more accurate information that current textbooks provide to high school students. On Reconstruction, that period after the Civil War when the federal government tried to guarantee equal rights for African Americans, the landscape is almost silent; most sites that do mention it present a distorted "Gone With the Wind" version that never happened. Little trace remains today of the lynchings and race riots that swept the United States between 1890 and 1925, the "nadir of race relations." All across America, monuments to the Spanish-American War, which was over in three months, are inscribed "1898-1902"; few visitors realize that those dates refer to the larger and longer Philippine-American War, which otherwise has mostly vanished from the landscape and from our historical memory. The antithesis of omission is overemphasis, and the history written on the American landscape is largely the history of the federal governments -- United States of America and Confederate States of America -- and particularly of their wars. We infer much of what we know about the ancient Mayans and Egyptians from their public sculptures and monuments. What will archaeologists ages hence infer about us? 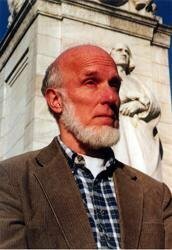 That we venerated war above all other human activities? America has ended up with a landscape of denial. James Buchanan's house denies that our fifteenth president was gay. The Willa Cather Pioneer Memorial denies that Nebraska's most enduring writer was lesbian. Fort Pillow denies that Nathan Bedford Forrest's Confederates massacred surrendered u.s. troops there. The National Mining Hall of Fame and Museum denies that mining today causes any environmental damage. And so it goes, from sea to shining sea. These misrepresentations on the American landscape help keep us ignorant as a people, less able to understand what really happened in the past, and less able to apply our understanding to issues facing the United States today. The thoughtful visitor can learn to read between the lines of historical markers however, and deconstruct the imagery on historic monuments. Then these sites divulge important insights not only about the eras they describe but also about the eras in which they were built. In short, the lies and omissions memorialized across the American countryside suggest times and ways that the United States went astray as a nation. They also point to unresolved issues in a third era -- our own. That's why it may be more important to understand what the historical landscape gets wrong than what it gets right. So come along as we visit more than a hundred markers, monuments, houses, and other historic sites in all fifty states and the District of Columbia. Our journey will start in the West, mirroring the journey the first people made as they discovered the Americas and settled it from west to east. People got to the Americas by boat from northeast Asia or by walking across the Bering Strait during an ice age. Most Indians in the Americas can be traced by blood type, language similarity, and other evidence to a very small group of first arrivals. Thus they may have come by boat. Either way, afoot or by boat, evidence suggests that people entered Alaska first: Native Americans share some cultural and physical similarities with northern Asians to the west of Alaska. Beginning in the west has the additional benefit of being unconventional. "How refreshing it would be," ethnohistorian James Axtell wrote, "to find a textbook that began on the West Coast before treating the traditional eastern colonies." The usual approach to the American past is from the vantage point of Boston, looking southwestward. Travel books too start in New England, even though Japan sends more tourists to the United States than any other nation. Europeans -- Spaniards -- were also living in New Mexico years before Anglos had moved to New England or Virginia, so it is doubly appropriate for us to make our trip from west to east. Therefore we will begin in the state that extends farthest west, Alaska, and end in Maine, farthest east. You don't have to go that direction, however. The Index of States invites you to proceed alphabetically by state or to begin with whatever state interests you, and cross-references within and at the end of entries encourage you to explore topically related entries. On our journey, not only will we uncover new facts about the American past, we will also catch indications of hidden fault lines in the social structure of the United States today. Some of these places are familiar to millions of Americans: Boston Common, Valley Forge, the Jefferson Memorial, Abraham Lincoln's log cabin, Sutter's Fort. Other entries in this book will visit places and tell stories that have not been memorialized grandly on the landscape. You will meet people whose existence you may never have imagined -- Elizabeth Van Lew, for instance, Robert and Mary Ann Lumpkin, Print Matthews -- and perhaps learn some facts you never imagined about famous Americans you thought you knew well. Some of these sites lie far off well-traveled tourist paths and never get into most travel guidebooks. Other markers or statues stand in oft-visited places, but unobtrusively, such as the plaques in the entry halls of state capitols. Although few writers have commented on most of these monuments and markers, they too make a difference because they represent the thousands of other historic sites all across America that help frame the way we talk about the past, yet have never drawn the attention of the historical profession. These barely known but important sites bring up the critical distinction between what happened in the past versus what we say about it. The former is "the past," the latter "history." Ideally I believe the two should match. Some people do not agree. In 1925 the American Legion declared that American history, at least when taught to children, "must inspire the children with patriotism," "must be careful to tell the truth optimistically," and "must speak chiefly of success." Since the American past is littered with failures as well as successes and since the past cannot be changed, the Legion would have history lie or say little about the failures. So would a lot of other people. It follows that sites that are important but little known may have been left out of history because their stories would be unsettling to some Americans. Conversely, nothing much happened in actuality at some allegedly important sites -- Valley Forge for one -- but history has made a great to-do about them. Some monuments and markers tell their stories complexly and accurately, so not every entry will be critical of its site. Sites are also depicted favorably, I'm sure, when their bias matches my own -- and my biases can be inferred from the list of heroes to whose memory this book is dedicated. I have chosen these sites to correct historical interpretations that seem profoundly wrong to me and to tell neglected but important stories about the American past. To be honest, I also included a few because they are funny. Americans share a common history that unites us. But we also share some more difficult events -- a common history that divides us. These things too we must remember, for only then can we understand our divisions and work to reduce them. Markers and monuments could help, except too often they suffer from the same forces that created the divisions in the first place. Moreover, most historic sites don't just tell stories about the past; they also tell visitors what to think about the stories they tell. Many sites seek to transform our secular history -- events that actually happened on earth done by real people with the usual mix of admirable and despicable characteristics -- into hallowed milestones along the path of our sacred journey as a nation. But if a monument or marker misrepresents the past or tells it from only one viewpoint, then whatever moral imperative it suggests must be suspect. If we cannot face our history honestly, we cannot learn from the past. Americans agree with this proposition when applied to other countries. We commend Germany for preserving concentration camps as monuments of remembrance. We commend the Russians for changing Leningrad back to St. Petersburg rather than continuing to honor a man whose political philosophy wreaked havoc on so many lives. We understand when South Africans, after dethroning white supremacy, set about reevaluating their statues and museum exhibits honoring white supremacists. Surely the United States -- like Germany, Russia, or South Africa -- needs to rethink its past and reassess how it commemorates that past in stone. Surely we don't want to be people of the lie, complicit with the worst in American history because we cannot stand to acknowledge it. The way we heal is to come face-to-face with the truth, and then we can better deal with it and each other. Indeed this process is already underway. Throughout the book, entries will show how history as remembered in town squares and on highway waysides has changed over time. Even though monuments are written in stone, they are not permanent. Americans have forever been talking back to the landscape, whether by persuading a state to revise the wording on a historical marker or by vandalizing a statue. On the whole it is a healthy process. The history written on the American landscape was written by people after all, and we the people have the power to take back the landscape and make it ours. When a site tells an inaccurate or incomplete story, challenging what our public history commemorates can make a difference in our public discourse. Indeed, questioning the myths as told on the American landscape is intrinsically subversive, since the interrogation itself diminishes their power to motivate human behavior, a power that depends on shared belief. Questioning the myths requires serious historical research. Often the viewpoint of the dominant faction not only rules the landscape but also permeates the history books. In the last thirty years, however, researchers have unearthed new voices from the past and allowed them to speak in their books and articles. Altering the landscape then involves expanding our public history by telling about the past from these "new" perspectives. In the process, new markers and monuments will establish new stories and extol new heroes -- factually based, with feet of clay when appropriate, but role models nonetheless. "American history is longer, larger, more various, more beautiful, and more terrible than anything anyone has ever said about it," wrote James Baldwin. The truth is also more wonderful and more terrible than the lies Americans have been telling themselves. The next four essays provide some tools and provisions for our journey. "Some Functions of Public History" examines the roles that monuments, markers, and other historic sites play for individuals and our society. "The Sociology of Historic Sites" tells how historical markers get created in the first place and suggests that their local nature has both positive and negative implications for the history they relate. "Historic Sites Are Always a Tale of Two Eras" notes that every site can teach visitors not only about the event or person it commemorates but also something about the time of its erection or preservation. Therefore visitors must consider both eras when thinking about what the site says. "Hieratic Scale in Historic Monuments" discusses how the nonverbal symbolism on monuments and memorials influences how visitors think and feel about the topics they commemorate. Aided by these discussions and Appendix B, "Ten Questions to Ask at a Historic Site," readers will be better able to critique the next place they visit, even if it is not among the more than a hundred sites described here. After our tour of lies across America, two final essays will provide some ideas on what to do about the biased texts, inappropriate names, and unfit statues we will have encountered. "Snowplow Revisionism" points out that even though history on the landscape looks permanent, revision constantly takes place. "Getting into a Dialogue with the Landscape" tells how Americans have been changing many sites already. Finally, Appendix C lists twenty candidates that deserve immediate removal or revision and suggests ways that Americans can make our markers, monuments, and historical sites tell a fuller more accurate history.